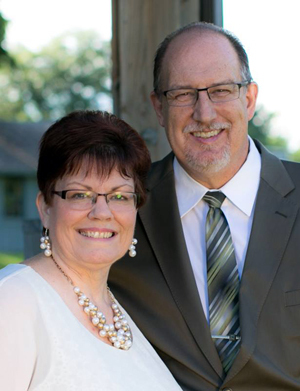 Mike and Pam Lumbard served as pastors for 30 years in the USA. They are both graduates of Open Bible College and INSTE Global Bible College. They have been involved in leadership positions with Open Bible Churches in the USA. As senior pastors they sent out a steady flow of students to Bible Colleges, Missions sending agencies and Internships programs, as well as launching ministries to the poor and needy. Now they are focusing on raising up another generation of global leaders who will take God's heart of love to the nations. They have been missionaries in Trinidad and Tobago and Directors of SGL since 2010. The Lumbards have three children, who are all married, and they now have nine grandchildren. Pastor Lumbard and Pam are both Preacher/Teachers who communicate Biblical truth so that it is understandable and applicable. They are Church Planters, Bible College Instructors, Pastors, Missionaries, Mentors and visionary leaders with a heart for the lost and hurting. It is time to step out of the status quo and let God do something great through you! If you always do what you've always done, you'll always be what you've always been. We challenge you to come with us! Let us help you take your passion for the world to the world. We are here to help you fulfill your dreams and passions that God has given you. There is a big job to do. There are people who have never heard about Jesus and God's love for them.